"A Soulful Bluesy Stew of Good Music". 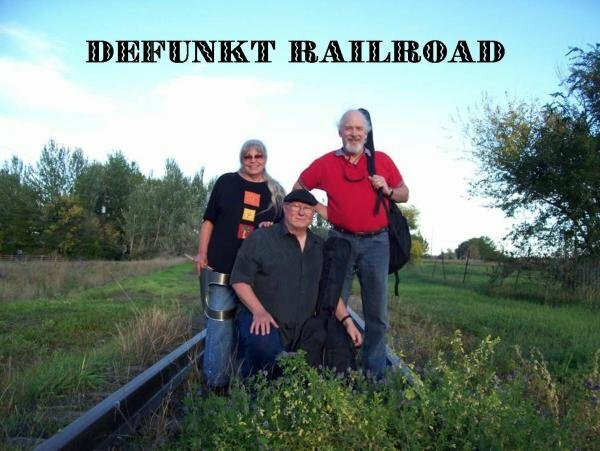 Defunkt Railroad is a three piece band playing a mix of rock and blues, R&B, originals, and Louisiana roots music (Cajun, Zydeco, New Orleans Funk). Defunkt Railroad features the soulful vocals of Ms DJ Mrugala who is also the drummer and percussionist with the band. The band also features Rick Ditmars on bass guitar and Randy Mrugala on guitar, slide guitar, and vocals.